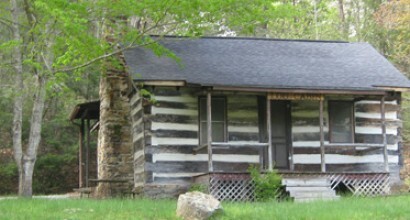 The Log Cabin is available year round and sleeps eight. 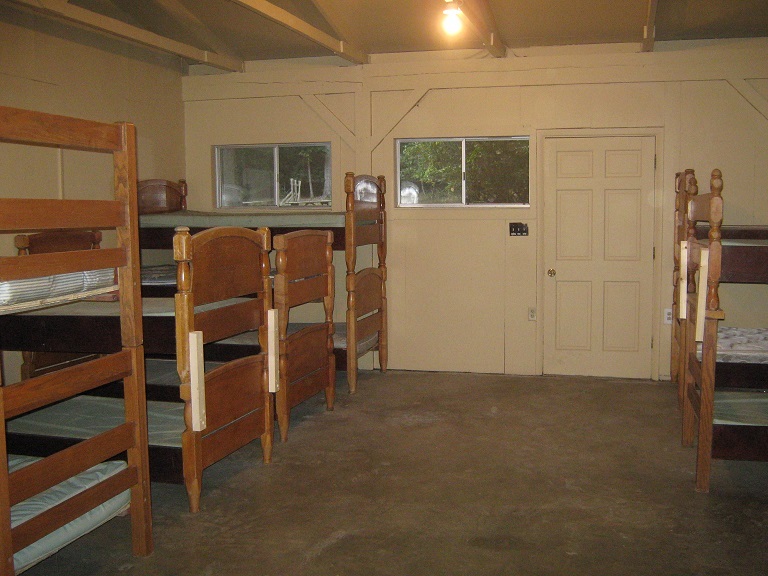 It has a full kitchen and bath, three sets of bunk beds plus a queen size bed and a beautiful stone fireplace. It’s perfect for families or a small youth group. 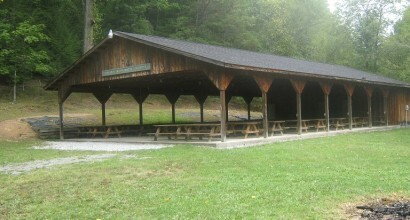 The Pavilion is great for congregational potluck dinners, reunions and group picnics. 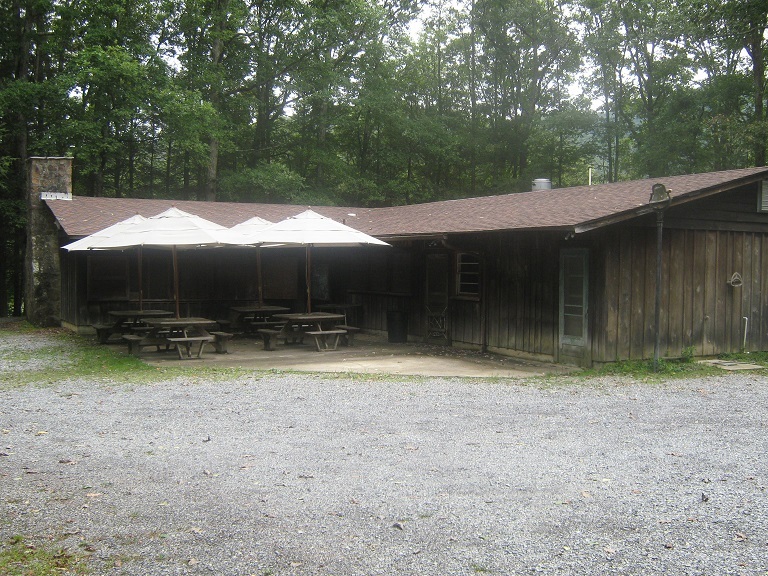 It has 32 picnic tables and seats 250. 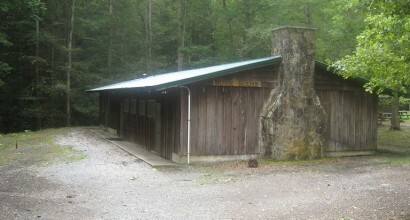 There are also two restrooms and a kitchen with microwave, range, refrigerator and upright freezer. Dishes and cooking equipment are not provided for this kitchen so you will have to bring your own if you plan to do any cooking. Half day rentals are either from 8am to 3pm or from 3pm to 10pm. 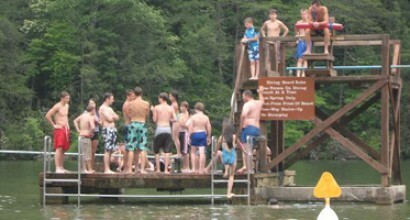 Full day rentals are from 8am to 10pm. 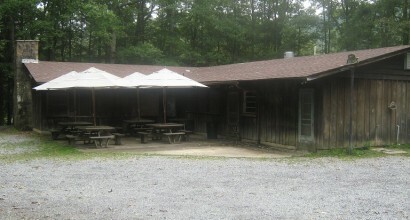 The Bunkhouse is available mid-April to mid-October. It has two separate sleeping bays with 20 beds in each and two separate bathrooms with 3 showers/sinks/toilets in each. There is no heat, but sleeping bays are air conditioned. 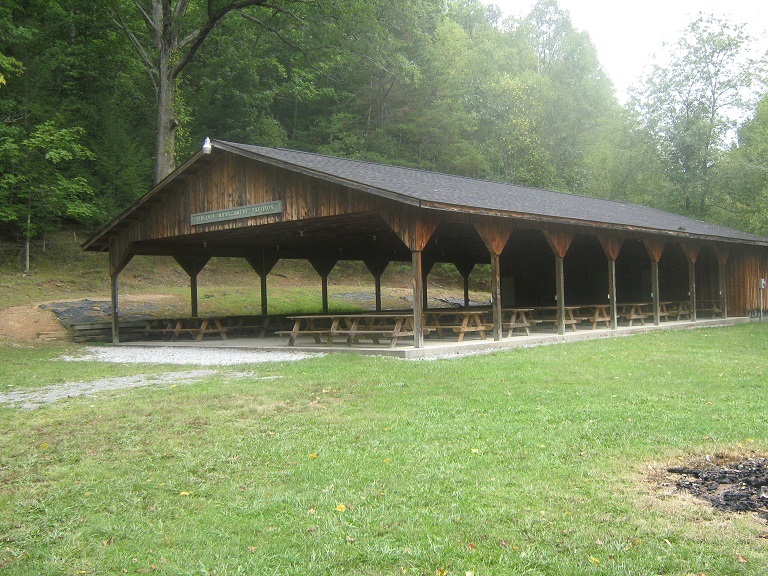 We offer groups renting the bunkhouse use of the Shumate Hall kitchen & dining hall, however, please note that the recreational wing of Shumate Hall is a general use space available to all groups that are on-site at the same time. 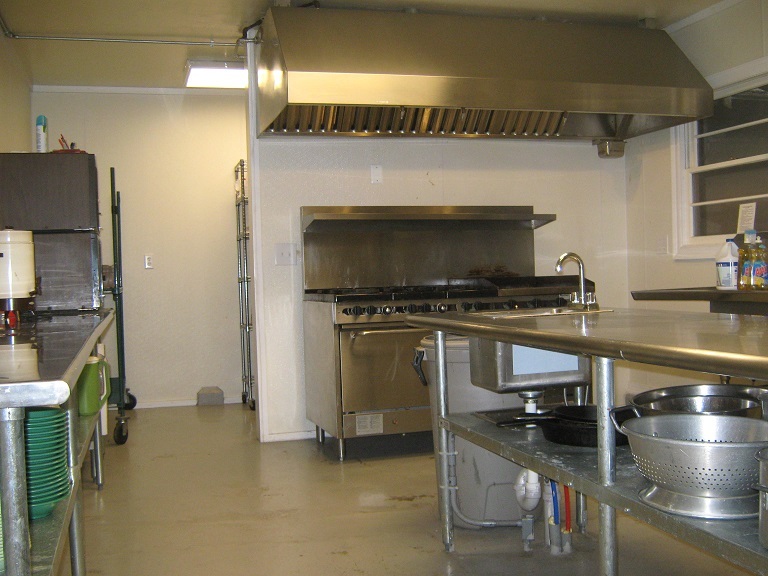 We do request other groups to refrain from entering the kitchen space and allow your group privacy during mealtimes. If you prefer a totally private kitchen/meeting space, we recommend you reserve the Pavilion during your stay. Shumate Hall is available for day use from mid-April to mid-June and again from mid-August to mid-October. It can accommodate up to 80. 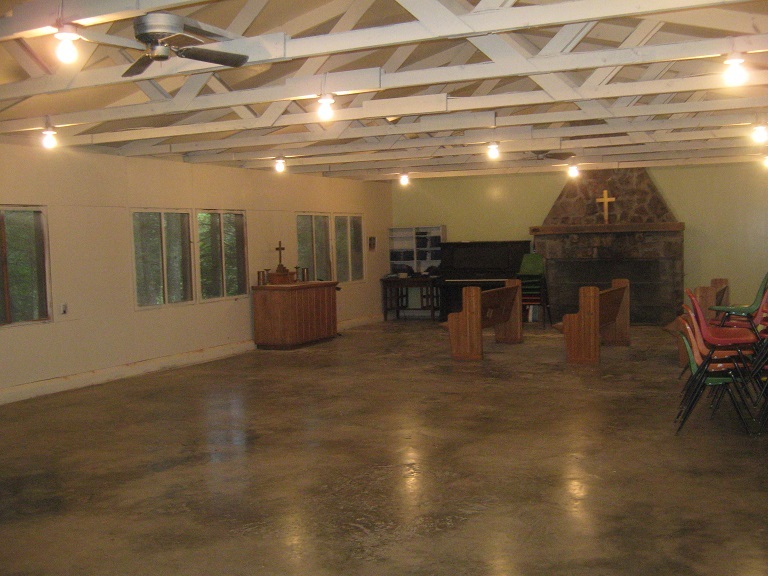 It has two large wings, one with a kitchen, two bathrooms and a food storage area and the other which is the dining &/or recreation area, flanked by two large fireplaces and housing a ping pong table and a pool table. 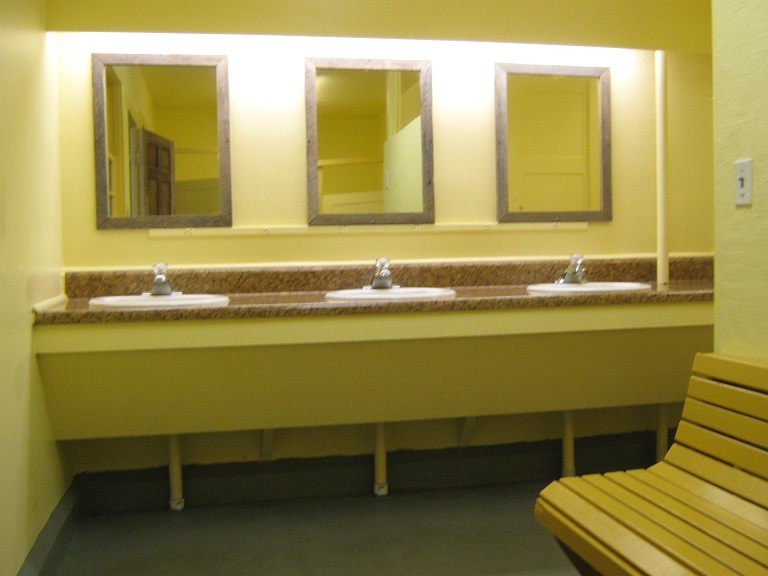 The space can be arranged to suit your needs. Enjoy exclusive use of all facilities and grounds when you reserve the Whole Camp for one flat rate with no number limit. RVs, personal tents and day-use visitors welcome at no additional charge. Please note that we do not have any separate RV hook-ups. 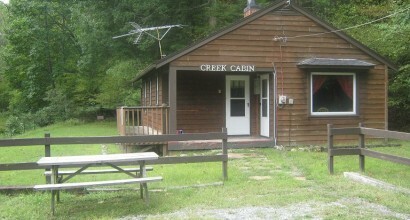 Due to the discounted nature of the Whole Camp rate, this option is not eligible for any special discounts. 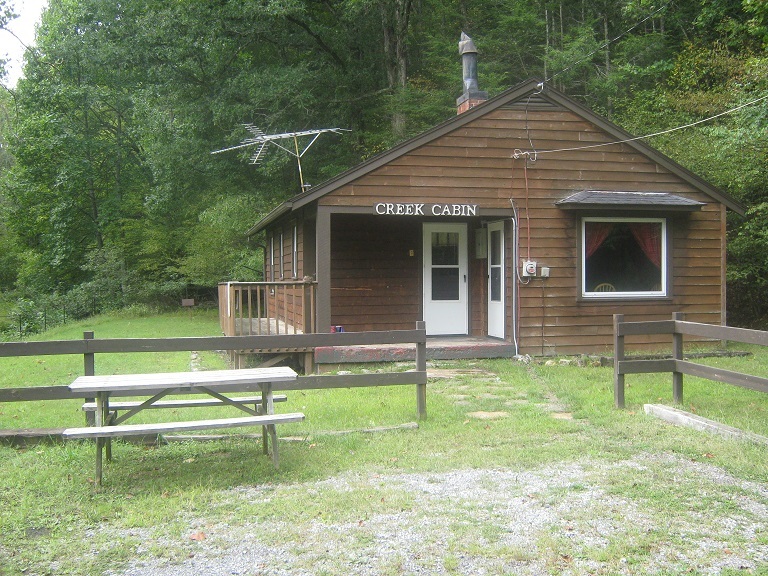 The Creek Cabin is available year round and has two separate bedrooms, a bathroom with shower, full kitchen and living/dining area. There are 4 bunk beds in each room. 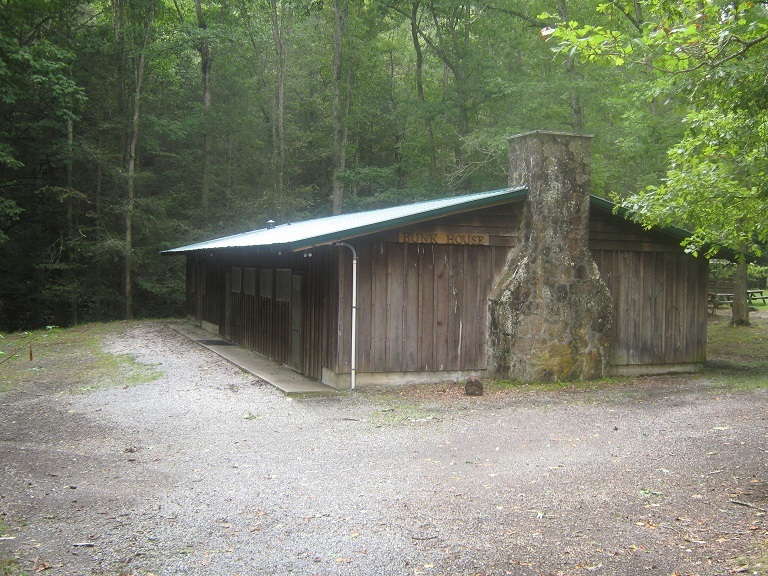 This cabin is located at the entrance of the Camp along the banks of Hungry Mother Creek and has a charcoal barbecue and picnic table available for your use.